The newly released multimedia applications for Windows are listed here to lead you to a brand-new digital world. Xilisoft YouTube Video Converter provides you an easy way to download MP4, FLV videos from YouTube and convert them to MP3, and to other video files that can be played on your iPod, PSP, mobile phone, Apple TV, Zune, iPhone, etc. It can also convert other videos in different formats in your computer to other video files. Xilisoft DVD Ripper Platinum can rip DVD to various video and audio formats like MPEG-4, AVI, DivX, XviD, RM, FLV, SWF, MOV, 3GP, WMV, MP3, AAC, AC3, M4A, WAV, etc. that can be played on diverse multimedia players with featured functions like clip and merge. Xilisoft DVD Ripper Standard helps you rip DVD to various video and audio formats like DivX, XviD, AVI, ASF, WMV, DVD-Video, DVD-VOB, Super VCD, Video CD, VOB MP2 PS, WMA, MP3, etc., with many parameter settings and featured functions. Xilisoft 3D Video Converter enables you to convert standard video to 3D video, 3D video to 2D video and one type of 3D video to other types. Almost all popular formats of videos are supported such as AVI, MPEG, MOV, H.264/MPEG-4, AVCHD Video (*.mts, *.m2ts), H.264/MPEG-4 AVC (*.mp4). 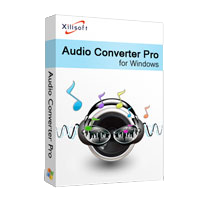 Xilisoft FLAC Converter is the most convenient tool which is capable of converting FLAC(Free Lossless Audio Codec) audios into a variety of other audio formats with higher quality preserved. Various output audio formats are available like MP3, WMA, AAC, WAV, CDA, OGG, APE, CUE, M4A, RA, RAM, AC3, MP2, AIFF, AU, MPA, SUN AU to fit your music players and other digital devices. Xilisoft YouTube to iTunes enables you to download and convert any YouTube videos to iTunes in MPEG-4, H.264 or MP3 format. Xilisoft iPhone SMS Backup enables you to back up your SMS and iMessages from iPhone including iPod and iPad iMessaegs to your PC and save them as text file or html file. Almost all iOS and iPhone versions are supported. Xilisoft iPhone Contacts Backup can satisfy all your management needs for your vital phone contacts: backup, transfer, restore and manage your contacts information effortlessly. 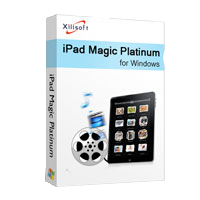 Xilisoft iPad Magic 5 Platinum is an all-in-one iPad solutions provider which helps you to manage your iPad in full-scale: backup music, movies, photos, books and iPhone ringtones in iPad/ iPod/iPhone to PC or iTunes, convert home CD/DVD/audios/videos to iPad/ iPod/iPhone music/movies, download and convert online videos from top online video websites, create excellent iPhone ringtones from audios/videos, move PDF/EPUB books to devices and so on. Xilisoft iPad Magic 5 provides the fullest solutions to backup, transfer, manage backup music, movies, photos, books and iPhone ringtones between iPad/ iPod/iPhone, computer and iTunes, download and convert online videos from top online video websites, create excellent iPhone ringtones from audios/videos and etc. Xilisoft iPod Magic 5 is an all-in-one iPod managing tool which provides a great convenience for you to transfer, backup and manage iPod/iPhone music, movies, photos, books and iPhone ringtones between iPod/iPhone and PC. Xilisoft iPod Magic can transfer files from iPod/iPhone to PC or iTunes; iPod/iPhone compatible files from PC to iPod/iPhone; DVD movies and other video/audio files to iPod/iPhone by first converting them to iPod/iPhone videos/music. Xilisoft iPhone Magic Platinum enables you to backup all multimedia files in iPhone to computer or iTunes, move files from computer to iPhone, convert home DVD movie, common video and audio files with no requirements for installing any other decrypter or decoder software, download exciting online videos from top online videos websites, extract audios to make personalized iPhone ringtones from audio/video files and etc. 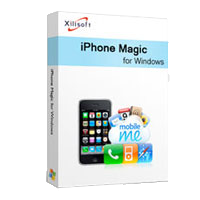 Xilisoft iPhone Magic enables you to backup all multimedia files in iPhone to computer or iTunes, move files from computer to iPhone, convert home DVD movie, common video and audio files with no requirements for installing any other decrypter or decoder software. Video Joiner 2 is capable of joining and merging various video files to one AVI, MPEG or H.264 video. Xilisoft CHM to EPUB Converter is a useful converting tool to help users convert CHM files to EPUB format with ease to view on various mobile devices and it can preserve original text, graphics, images, hyperlinks and layout of the original CHM files. 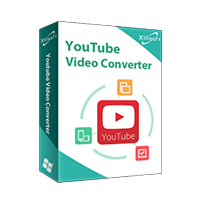 Xilisoft YouTube HD Video Converter is certainly the most ideal downloading and converting tool which can help you to download YouTube High Definition videos and standard definition videos and convert them in-one-step with fast speed. Now with Xilisoft YouTube HD Video Downloader, you are free to watch and download any High Definition videos in resolution of 720p or 1080p and standard definition videos from YouTube easily and efficiently. Xilisoft Blu-ray to MKV Converter is an easy-to-use converting tool which can help you to rip Blu-ray movies(M2TS format) and convert to quality MKV. Xilisoft PDF to Word Converter can convert PDF files to Word files in format of DOC, DOCX or RTF only by two steps: drag and drop files and click start to convert! Xilisoft iPhone Photo Transfer, the most convenient iPhone photo transfer tool with which it comes so easy to copy all the photos shot by iPhone to your PC and vice versa, share them instantly with your friends and family on computer, webpage or anywhere else. Xilisoft Online Video Converter is a combination of viewer, downloader as well as converter of online videos from multiple popular online videos websites. Embedded with a web browser, you can directly log on homepage of online video websites, viewing videos on line, downloading your favorite ones and convert them to SD and HD videos in most common formats within one step. Xilisoft MP4 to DVD Converter qualifies you to preserve your favorite MP4 videos by burning them into DVDs for you to enjoy them on DVD players. Xilisoft YouTube to iPad Converter provides you a great solution to download your favorite videos from YouTube website and convert them to iPad with super quick speed. Xilisoft YouTube to iPhone Converter downloads FLV format videos from YouTube website and then converts them immediately to iPhone videos in format of H.264 video or MPEG4. Quality Xilisoft DVD to AVI Converter provides you with the functions of ripping and converting home DVDs to HD AVI common AVI in formats of HD-AVI, HD-DivX, HD-Xvid, AVI, DivX and Xvid. Xilisoft MP4 to MP3 Converter can extract MP3 from video formats such as AVCHD (*.mts, *.m2ts), MP4, MPEG-1, MPEG-2, MPEG-4, WMV, AVI and so on and from various audio formats: WAV, WMA, AAC and etc. Xilisoft Wii Converter is capable of converting nearly all popular video and audio formats like AVI, MPEG, WMV, MOV, MP4, RM, RMVB, MP3, WMA, AAC and so on to Wii supported formats Wii-AVI, Wii-MOV, MP3, WAV and transfer them to Wii efficiently. Xilisoft CD Ripper has great capabilities of ripping audio CD to all popular audio formats including MP3, WAV, WMA, OGG, MP2, VQF, APE, etc. as CD to MP3 ripping software, and also converting between these audio formats as audio converting software. Xilisoft MP3 CD Burner helps you burn CD, burn music CD, burn MP3 CD, burn WMA CD from almost all popular video and audio formats including MPEG, WMV, ASF, AVI, MOV, 3GP, RM, MP4, MP3, MP2, WMA, WAV, AU, M4A, RA, OGG, AAC, AC3, etc. Xilisoft YouTube to DVD Converter is just the right tool for you to download YouTube videos for FREE and burning FLV videos to DVD movie. You can also convert YouTube videos to DVD folder or ISO image.